We knew you were coming, so we pooled a list of ‘all the funs’ around our little corner Up North. 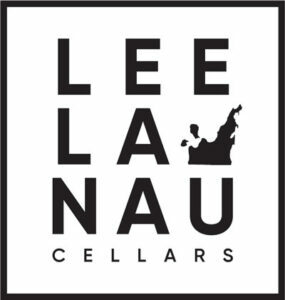 Now go fill up the tank, find your swim gear, rent a bike, lace up your shoes, break out the skis, play in the leaves, bury your toes in the sand… but always grab a bottle from Leelanau Cellars to keep you company! Tag us on your adventures and Get Out There! You won’t find anything else like this tour. 5 Ton Tours can cater to your needs by providing a fully customized tour experience you won’t forget! Sunset Lodge Hotels 12819 E Tatch Rd, Omena, MI 49674, USA Sunset Lodge overlooks Lake Michigan’s Grand Traverse Bay and features 12 guest rooms and suites in three historic buildings. Universally accepted as the undisputed, most amazing location and winery in the history of locations and wineries. Of all time. Ever. And as always, free wine tastings since 1974. See our friends at TC Tourism for great ideas! A premium fast casual Vietnamese eatery. Upscale, chef-owned spot offers small plates of light Pan-Asian cuisine & signature cocktails. Expansive space offering modern tavern fare such as risotto & lamb burgers, plus rooftop tables. Bar/eatery known for unique burgers & diverse beer options plus daily happy hour on food & drinks. Dinner & drinks destination for New American fare & live jazz paired with a large martini menu. Charming grill with a patio offering American comfort chow, pizza & salads, plus local brews on tap. BBQ & bar eats are served at this pared-down watering hole with garage doors & a dog-friendly patio. Hearty pub fare & house-brewed beers served in an 1899 building that once housed a candy factory. Gourmet tacos with savory sauces & sides pair with margaritas & beer in a cozy, colorful space. Instant Craftification! Each food item is specifically designed to complement a particular beer, and many of their food items even include beer in the recipe! Low Bar is a throwback into a modern era. Re-ingniting pre-prohibiiton with crafted concoctions stemming from old favorites. Flatbreads & salads pair with house-brewed beers at this cozy outpost in a vintage train depot. Fixed collection of food trucks offering an eclectic array of bites, plus a bar & outdoor seating. Local chain for upscale pub fare & house-brewed craft beer with a rustic & comfy vibe. Outfitter offering retail for seasonal sport, adventure, outdoor, water, tourism and more. Outfitter offering retail for unique and locally made clothing and apparel. Blk Mrkt Coffee 144 Hall St, Traverse City, MI 49684 Enjoy a memorably delicious cup of coffee, have something nice to eat with it, and spend a little time enjoying yourself. 45th Parallel Café Coffee 102 W Broadway, Suttons Bay, MI 49682 Laid-back breakfast & lunch choice offering omelets, sandwiches & burgers, plus coffee drinks. Bayside Coffee & Tea Coffee 310 N St Joseph St c, Suttons Bay, MI 49682 Great drip coffee, nitro cold brew, espresso drinks, croissants, GF options! Good Harbor Coffee Coffee 111 W Front St, Traverse City, MI 49684 Downtown Traverse City's longest running coffee shop, serving locals and tourists for over 25 years! Mundos Roasting Coffee 708 Boon St, Traverse City, MI 49686 Ethically sourced and freshly roasted single origin coffees that make your life a little better. All coffees are locally roasted in small batches in Traverse City. Brew Coffee 108 E Front St, Traverse City, MI 49684 Rustic-chic coffeehouse in the City Opera House building with all-day breakfast, microbrews & wine. Morsels Coffee 321 E Front St, Traverse City, MI 49684 Bite-sized baked goods, espresso & brew-to-order coffee along with cafe fare for breakfast & lunch. Rent paddleboards, kayaks and bikes from this business, located in downtown Traverse City. Rent paddleboards, kayaks, canoes, bikes, cross country skis, snowshoes, and fat bikes from this business, located in Glen Arbor. Rent paddleboards, bikes, snowshoes, a cross country skis from this business, located in Traverse City. Local smokehouse providing quality meats and groceries. A natural, locally owned grocery store in Traverse City Michigan, specializing in organic foods, gluten free, and small farm foods. An accessible and healthy marketplace for goods produced locally that have a positive environmental and social impact. Top quality meat, seafood, wine and specialty groceries for 23 years. With 150 varieties of cheese from all over the world, there is something for every palate. West side beverage store in Traverse City, Michigan that offers a great selection of beer, wine, soda, and specialty drinks. East side beverage store in Traverse City, Michigan that offers a great selection of beer, wine, soda, and specialty drinks. Take in the Sleeping Bear Dunes like most have never seen them before—from the flip side. Hike over the dune climb while taking in a view of the Manitou Islands, and simply follow the shore north. You'll find some superb views along the way, and hopefully Glen Haven...eventually. Hike Empire Bluffs Adventure 44.799404, -86.058626 Explore one of Michigan's most scenic natural overlooks. Perched hundreds of feet above Lake Michigan, Empire Bluff Trail offers spectacular views of the surrounding area. Experience Leelanau County's most dramatic view with a twist—after the sun sinks into the horizon. A steep hike up to the bluff is worth the effort and the seclusion makes this perfect for dates or quiet relaxation. Bring a blanket, binoculars, and a bottle of wine, and you've got an amazing evening ahead of you. Paddle your way down West Grand Traverse Bay's largest tributary and enjoy the unique experience of traveling right through the heart of downtown Traverse City - but this time from the water. From a 5k race to air shows to concerts, parades and more; the National Cherry Festival is packed full of family friendly activities spread out over an entire week around the start of July each year. Backpack North Manitou Adventure 45.121740, -85.977056 Whether you're looking to turn back time (literally), or just escape from the hectic world for a few days; there is no better place in northern Michigan to experience the simpler aspects of life and enjoy the solitude that North Manitou Island offers on this pack-in pack-out journey. Bike the Heritage Trail Adventure 44.897994, -85.984268 The Sleeping Bear Heritage Trail is a paved, non-motorized trail that runs throughout many areas of Sleeping Bear Dunes National Lakeshore. The trail is currently 22.5 miles running from Empire to Port Oneida. Pick up the trail at many points- Glen Arbor, Empire, Port Oneida, DH Day Campground. Take in some of the most astonishing scenery in the world - something you may never have thought would be possible in Michigan. Multiple stopping points along this nearly 7 mile perfectly paved stretch of road offer breathtaking views of Glen Lake, Sleeping Bear Dunes, Lake Michigan and glimpses of South Manitou Island - if you know where to look. In a state with more lighthouses than any other in the country, you don’t have to travel far to experience some of these great beacons. Built during the golden age of Great Lakes passage - one of the most traveled waterways in the world; these lighthouses have kept travelers safe since the late 1800’s. Power Island Camping 44.864444, -85.571160 You'll need a boat! Located on the southern shoreline of East Grand Traverse Bay, a bay of Lake Michigan, the park is used mainly as a campground. The beach area has a playground, grills and picnic tables. The camping area has around 350 campsites, all with electricity. Other features include a dump and fill station, three bathroom buildings, and a recycling/trash center. DH Day Campground Camping 8000 W. Harbor Hwy, Glen Arbor, MI 49636 Beautifully wooded, peacefully quiet and easily accessed from the Dune Climb, Pierce Stocking Scenic Drive and the museums. If you and your family enjoy a slightly more rugged camping experience, then D.H. Day Campground is probably for you! With 88 private sites and easy access to Lake Michigan's beach from the north end of the campground, D.H. Day provides an excellent setting for a calming family vacation. Vault toilets and water spigots are available throughout the campground. See our friends in Suttons Bay for great ideas! Pirates Cove Kid Friendly 1710 US-31, Traverse City, MI 49686 Two 18-hole mini-golf courses featuring pirate-themed challenges, plus a zipline & water rides. Great Lakes Children's Museum Kid Friendly 13240 S W Bay Shore Dr, Traverse City, MI 49684 Little ones learn about the Great Lakes & more from hands-on activities, including a water table. Great Wolf Lodge Hotels, Kid Friendly 3575 N US Highway 31 S, Traverse City, MI 49684 This happening, all-suite resort hotel features rustic suites with microwaves, minifridges and coffeemakers, as well as free Wi-Fi and TVs. Parking is complimentary. There are 4 restaurants; 1 has a bar, and there is also a dessert shop. Other amenities include an indoor water park, an arcade, a bowling alley and mini-golf, along with a spa, a 24-hour fitness room and a business center. 24/7 taxi, shuttle and airport service every day of the year. Specialize in wine, brewery and distillery tours in Traverse City, Torch Lake and Petoskey, bachelor and bachelorette parties, wedding transportation and more. Use your mobile app to access drives at any time. Private bus group tours and private Cadillac Tours available every day. Overlooking Leland Golf Club, this cozy, low-rise lodge lies a 7-minute walk from a Lake Michigan beach and a 4-minute walk from other beaches on Lake Leelanau with an onsite wine bar and restaurant. Beach cruiser bikes can be rented or cozy up at the communal fireside lounge and enjoy regular live entertainment. Overlooking Suttons Bay, this refined waterfront lodge is 2 miles from downtown Suttons Bay, with an on-site bistro and wine bar, plus a limo shuttle to local wineries. Bayshore Resort Hotels 833 E Front St, Traverse City, MI 49686 Overlooking a bay between the Old Mission and Leelanau peninsulas, this Victorian-style beach hotel lies 3.5 miles from Cherry Capital Airport and 5 miles from the Mount Holiday Ski Area. Set on 900 acres of woodland and gardens, this sprawling resort is 7 miles from Cherry Capital Airport and 11 miles from Grand Traverse Mall. Set in a brick-and-stone building across the street from the beach and West Grand Traverse Bay, this informal hotel features walls with photographic prints, and bathrooms with wood-effect tiles. The rooms come with free Wi-Fi, flat-screen TVs and coffeemakers. Some provide bay views. Craft distillery/tasting room offering tours & artisanal whiskey cocktails in speakeasy bar setting. Creator of inventive rum, gin, vodka, whiskey & liqueurs offering a large tasting room & gift shop. Their TC outpost offers fabulous craft and classic cocktails in a rustic lounge. Visit their maker space to learn about the distilling process, buy a bottle to take home, sign up for a class or book your next event there for a uniquely interactive experience. For the past decade their still has been utilized to produce the region's premiere spirits from grain to bottle, spirits that have received international acclaim and awards. Cool beer hall with outdoor tables dispensing a changing selection of locally-crafted brews. Nestled in the center of historic Northport, Mitten Northport offers guests a chance to enjoy their favorite Mitten tap selections while taking in the view of Grand Traverse Bay and Northport Marina. Small batch microbrewery with on-site hop garden, beer garden, patio and tasting room; Located in Suttons Bay, Michigan. This microbrewery serves its own brands of brews & waffle sandwiches in a creative, industrial site. Industrial spot in a restored building with house & regional beers, plus seasonal grub & live music. Unique views of West bay from Old Mission. $10 for 6 tastes. Located on Old Mission Peninsula the family owned and operated winery offers a Northern Michigan experience. $3 for five tastes of signature wines / $5 for five tastes of reserve wines. Located on a 65-acre estate on Old Mission Peninsula, the B&B provides a unique destination including a bed & breakfast. $5 per person for six tastings. Established in 1991, Bowers Harbor Vineyards is nestled half way up Old Mission Peninsula. Groups of 7 people or less: $5 to sample five. 2 Lads Winery Winery 16985 Smokey Hollow Rd, Traverse City, MI 49686 The winery’s modern facility is perched over East Bay Mission Peninsula in Traverse City, Michigan. $7 to sample current wines. Located on a hillside in Suttons Bay, the panoramic views of West Traverse Bay add to the views of the vineyard.​ See website for more details. Rustic brick tasting room & retail market offering the wares of a family-owned local winemaker. Tasting fees change. Located just south of Sutton's Bay on M-22 with views of West Grand Traverse Bay. At 1165 feet, their tasting room sits at the highest point in Leelanau County. Known for sparkling wines. Groups of 8 or more require a reservation, $10/person. No groups over 15 are allowed. Bluestone Vineyards Winery 780 N Sylt Rd, Lake Leelanau, MI 49653 Vineyard is tucked away on 40 acres just off M204. Tasting room sits amidst vines with views of vineyards, orchards and the Leelanau landscape. 3 tastes for $3, 5 tastes for $5.